Are you the kind of foodie that loves experimenting with cuisines, but is often disappointed with the quality? Your undying quest for real and authentic flavours now has a name and place – Namak Mandi will bring you some asli zaika from the different regions of undivided India. India is a melting pot of cultures, and it’s obvious that there isn’t just one staple dish or cuisine you can run to. Venturing to different states just to try out the food may seem unreal & difficult. That’s where Namak Mandi, a new restaurant in Vasant Kunj, will come to your rescue. It’ll be your savior when your food cravings are high and you can’t travel much. 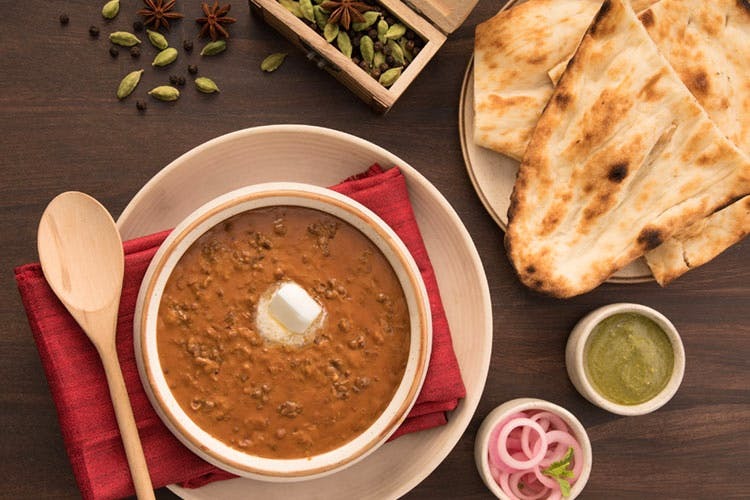 Namak Mandi is known for their diverse menu, so you can expect everything from the legendary Dum Biryani to the lesser-known Kashmiri Rogan Josh under one roof. They offer a variety of dishes, such as Chingri curry from Rangoon, Mandi ki daal from Peshawar, Galawati kebabs from Lucknow, and more. The Qureshi family are the chefs at the restaurant, and have in-depth knowledge of the original recipes, both veg and non-veg. They have made it a point to use the right kind of ingredients and spices to maintain authenticity. The decor of the restaurant portrays a Nawabi vibe with a mix of modern furniture. The thought itself had us excited, but the Dum Biryani & Mandi ki daal were the show-stoppers. Even their desserts are handpicked from different regions of India, such as Narangi Kulfi, Khubani Ka Meetha & more. Here’s your chance to indulge in a meal from the menu that journeyed through the Grand Trunk road from an undivided India. Do not make the mistake of considering this the same as your average Mughlai joint – the dishes here are as authentic as they come.